Customers of Onekawa Centre complete surveys rating our services, cleanliness, professionalism and many other attributes. The overall rating is 4.4 of 5 stars. In the Hawkes Bay neighbourhood of Onekawa lies the heart of storage ­ with 221 modern storage units in a new and contemporary storage centre, boasting top security, easy access, a wide range of unit sizes and a full compliment of qualified and experienced staff, self storage in Onekawa has never been better or easier. Not only is our Onekawa facility known for its helpful staff and spotless interior, the perimeter is secured with electric fences, access is secured by computer­controlled PIN and activity in the centre is monitored with digital CCTV surveillance. Suffice it to say that we take security seriously! 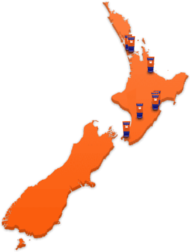 Enquiries for storage at Onekawa can be made at our nearby Napier centre, or simply give us a call: we’d be happy to supply you with an obligation­free quote or show your around our facility. When you’ve got something as good as Onekawa, you want to show it off! With electric fencing surrounding the perimeter - no one gets in without our say so. 8 C.C.T.V. cameras monitoring the centre 24/7. Access in and out of the centre controlled by a P.I.N. code. Security Lighting throughout the Onekawa Storage Centre. Use your Credit Card with no surcharge fee. We'll pay back all your unused rent if you move out early. You'll receive a 5% discount when you pay 6 or 12 months in advance. 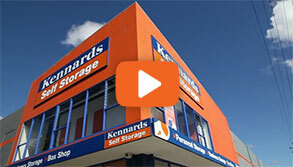 Why choose Kennards Self Storage at Onekawa? We’re clean, efficient, easy to use and all our staff are extremely helpful - ­ give us a call and put us to the test! Our undercover loading and unloading area at the Onekawa storage facility protects you and your goods from the elements when moving. Enjoy uninhibited access to your storage unit 24hrs a day, 7 days a week (subject to availability). 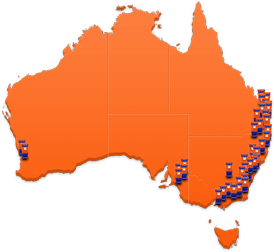 Units with drive­-up access are available. Free use of our pallet trucks, trolleys: flatbeds, fridge and mattress. Insurance available for your goods in storage. Free Internet Hotspot available for your use. Both of our Teams from the Hawkes Bay had beaming smiles after being recognised recently at the Annual Kennards Self Storage Achievement Awards. Kennards Parcel Pick Up And Drop Off Concierge At Your Service! 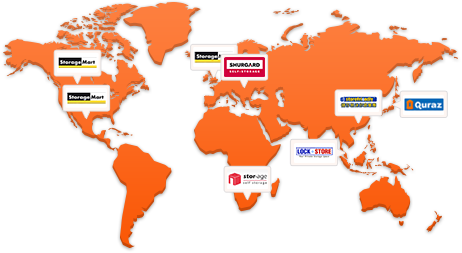 Hey storers, this is one of those “Did you know” moments - One of the benefits of renting a storage unit at Kennards Self Storage, is our parcel drop off / pick up service located at all of our centres.